I can’t seem to quit making tote bags, and I’m especially happy to have discovered foam batting, which makes them nice and stiff and doesn’t need to be quilted unless you just want to. Cut 2 pieces of foam batting about 1-1/2″ wide and about 1″ longer than you want the finished handles to be. 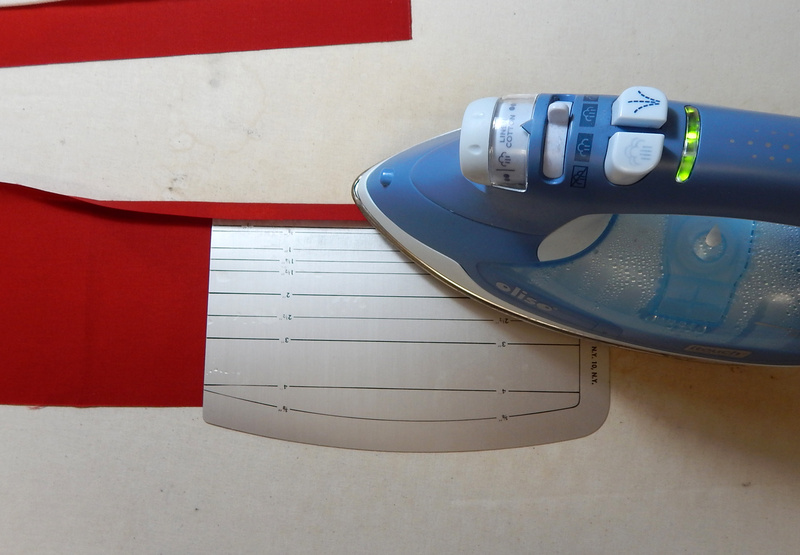 Cut fabric for handles about 4-1/2″ wide and about 3″ longer than the finished handles will be. Now turn the same long edge under an additional 1-1/4″ and press well. Tuck the batting into the handle, centering it between the ends, so that one long edge of the batting is firmly inside the handle. Now turn the remaining long edge of the handle fabric snugly around the exposed long edge of the batting and tuck this raw edge under the folded 1/2″ edge. The ends of the handle will have raw edges, but the long edges will all appear finished now. Topstitch close to the folded edge. Place a second line of stitching near the other long edge of the handle so that you have a nice professional-looking handle. Attach handles as usual, allowing about 1/2″ of the batting at each end to be sewn down to the bag. The rest of each end, without batting inside, will go smoothly into the side of the bag so you won’t have much of a bulge where the handles are attached. Sew that down, too. 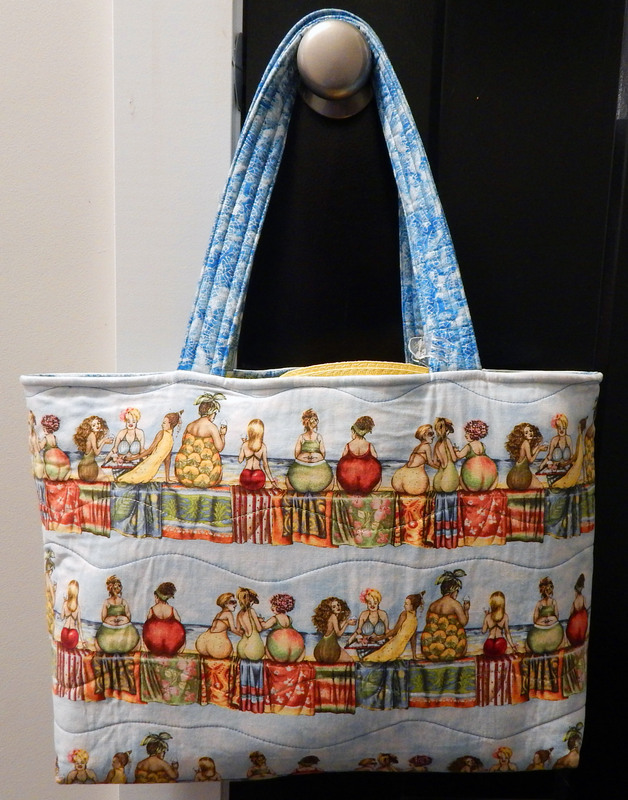 This entry was posted in Crafts, Sewing projects, Tutorial and tagged tote bag, Tutorial by zippyquilts. Bookmark the permalink. One can never have too many tote bags. I like using foam. You are a kindred spirit! I make bag handles the same way. I use car head lining which works as well as the more expensive In R Form. (I buy a couple of yards at a time with a Joann’s coupon.) The head lining has tricot on one side (In R Form has tricot on both sides). I’ve found that the foam is easy to sew through. 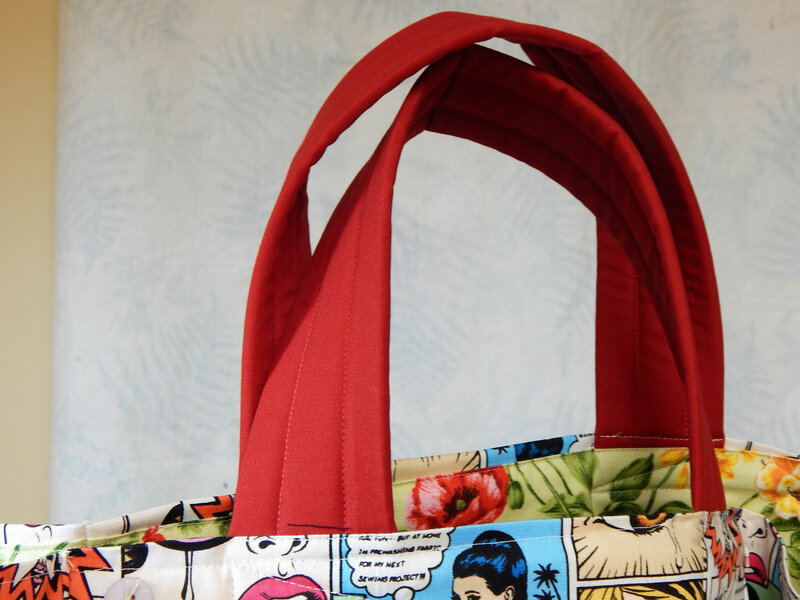 I have four tote bags to make in April for community events in May. I fill the bags with advance reader copies of forthcoming books that I get at library conferences and from my library. Ha! I’ll have to try the headliner! Thanks! Thanks for the useful info on foam handles. I was wondering how to make a better stronger more comfortable strap…especially for bags that might be heavy. What a nice, streamlined technique! I have never made tote bags, but this might be the tipping point that starts me in that direction! Go for it! But be warned: it can be addicting! Foam handles! That sounds better than batting handles. 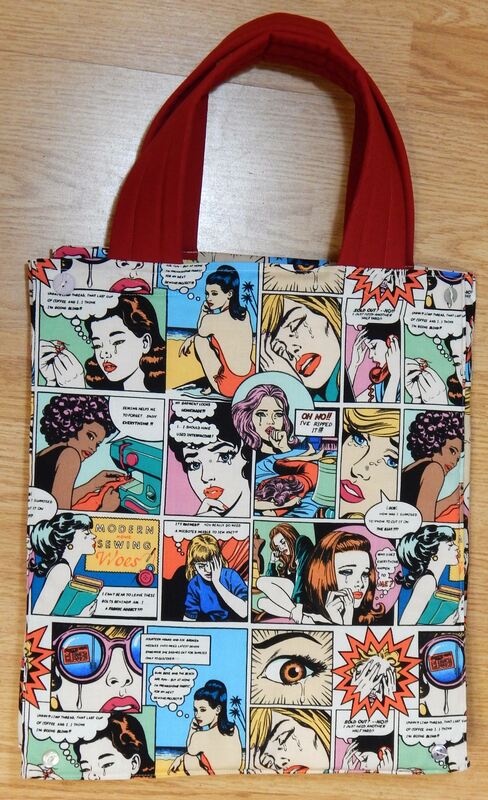 I loved your tote bags and I’ve seen that comic fabric before with sewing tragedies and it makes me laugh! I use handle webbing inside my handles, but instead of the foam, I use interfacing or batting. I’ve had a few too many handles “stretch” on me (I overload my totes, obviously) so I needed something to anchor it more. For lightweight loads, I’m going to try your foam idea. Webbing surrounded by batting sounds like an excellent idea! Thanks!